Sulph-Orcs ships are rugged, heavily armed vessels fueled by the the combustion of kokytic ore. The noxious miasm produced by the kokytic drive makes operating Sulph-Orcs technology quite dangerous for other races. To suit the preference of their pilots, the vessels often forgo shielding in order to include more powerful armaments, resulting in vessels that are nearly as dangerous for their crew as for their opponents. The Ranak Warbeast is a mid-sized gunboat, made of shoddily-welded together space debris and the husks of destroyed ships; the pinnacle of Sulph-Orc construction standards... or lack thereof. Barely space-worthy and with little shielding to speak of, the ship is essentially a salvaged kokytic drive with a series of gunnery pods hastily welded to its superstructure. Whatever their ship lacks in other departments the crew of the Ranak Warbeast attempts to make up with overwhelming firepower. 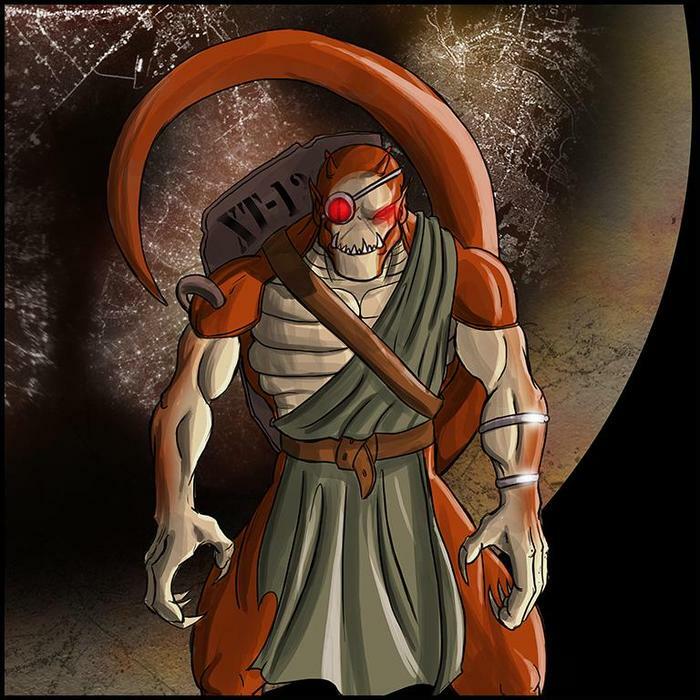 Khorijin is the pilot of The Ranak Warbeast. At least, for now. At the end of each battle, the crew counts up kills by each gunner, with seats for the next mission chosen in order of kill count. While the pilot's seat features fixed weaponry rather than a swiveling turret, it is often coveted due to the pilot's ability perform wild and erratic maneuvers and prevent other gunners from racking up kills. 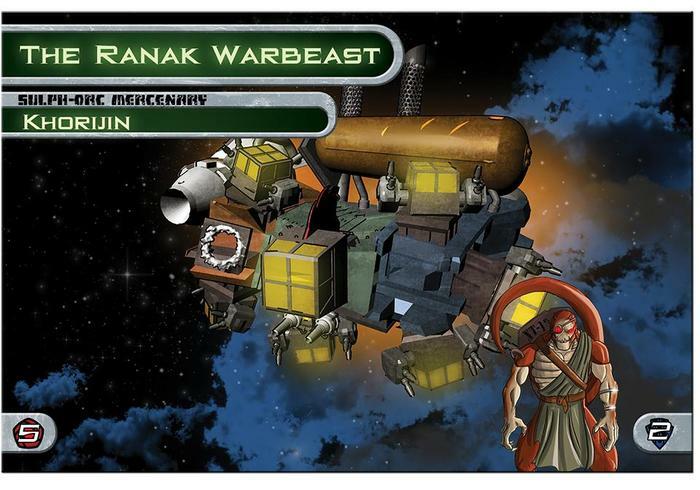 There are currently eight seats aboard the Ranak Warbeast, though certain pods are regarded poorly due to their unreliable damage output or poor placement. Due to the high mortality rate among the crew, each member is young and relatively inexperienced - the ship has seen more battles than all of its crew members combined. Sign up for the Greater Than Games newsletter! All game and website content Copyright © 2014 Greater Than Games, LLC. All Rights Reserved.